Our high performing Gore gaskets are designed to withstand extreme conditions and are suitable for a variety of industries, including pharmaceutical, food and beverage, and many others. Each gasket is engineered to perform under extreme conditions, ensuring maximum reliability. The material of our gaskets is suitable for varying specifications, which allows for maximum compatibility for a variety of uses. Teschem is an authorised dealer of Gore products, based in Cork, serving national and international clients. From years of experience, our clients can expect top quality and reliable products, thanks to our partnership with the world’s leading manufacturers. 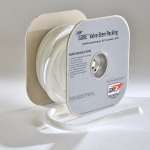 Gore’s STA-PURE sheet gasketing style 1200 is designed to deliver excellent sealing performance that adheres to strict quality standards and requirements. Each sheet product is designed for dimensional stability even when used in high temperatures. They are extremely resistant to creep and cold flow, and resistant to aggressive processing media. The STA-PURE Style 1200 is compliant with USP Class VI Biocompatibility standards and U.S. CFR 174.5 (d) and EC 1935/2004. 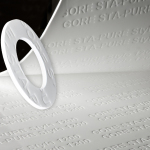 The STA-PURE Pipe Gasket Style 1500 also complies with USP Class VI Biocompatibility standards, as well as the U.S. 21 CFR 174.5 (d) and the EC 1935/2004. Gore’s GFO Packing is made from 100 % GORE GFO Fiber, which offers consistent, excellent performance for a wide range of applications. 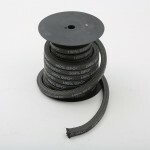 Each braided compression packing is easy to install and remove, while being very durable. Expect over 20 years of long lasting performance, minimal shaft wear and downtime from resurfacing shafts or repacking pumps, with little to no maintenance. Gore GFO Packing is designed to help reduce inventories, consolidate packing needs, and as a result, reduce overall system costs. Looking to seal steel flanges for various aggressive chemicals? Gore’s GR Sheet Gasketing can help with that. 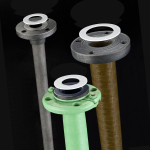 Never worry about creep and cold flow, and always expect top-notch sealing reliability under high temperatures. 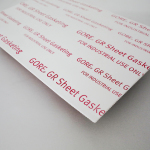 Gore GR Sheet Gasketing is designed to deliver performance that’s superior compared to other PTFE Sheet Gaskets in the market. Made from 100% expanded PTFE, the product offers dimensional stability and conformability, making it ideal for real world flange conditions. The result is a tight, long lasting seal that can withstand high-stress applications. 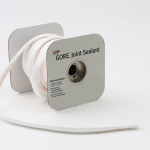 Made from 100% expanded PTFE, the Gore Joint Sealant is intended to be a cost-effective alternative to sheet gasketing or large equipment flanges. Almost every type of sealing application can benefit from the Gore Joint Sealant, which is designed to minimise the likelihood of leaks, lost production, maintenance, and catastrophic failure. 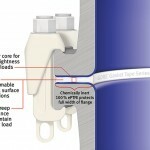 Optimise long-term system performance with the Gore Joint Sealant today. 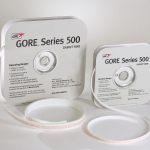 Always expect reliable sealing performance and top-notch efficiency from the Gore Gasket Tape Series 500. Made using cutting-edge technologies, the Gore Gasket Tape Series 500 can fit to any shape, with its highly compressible tape forming a tight, long-lasting, durable seal that can withstand any chemical process and resist creep issues. Ideal for sealing glass-lined steel to contain aggressive media, the Gore Gasket Tape Series 1000 features proprietary technology that enables it to withstand high stress applications. It is made of 100% expanded PTFE to fit to any application, while being chemically inert and extremely resistant to cold flow, creep, and clamp-force loss. Gore Universal Pipe Gaskets are ideal for standardising gasket materials across glass-lined steel, FRP, and steel systems; basically any application where non-metallic gaskets can be used. The Gore Valve Stem Packing DP is a self-lubricating, pliable packing product designed to eliminate stem wear and last indefinitely. It is easily installed and forms a cohesive cylinder when compressed, eliminating the need to cut and form rings. 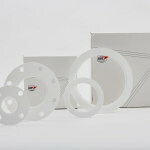 It is made from % expanded PTFE and is usable for a wide range of applications.